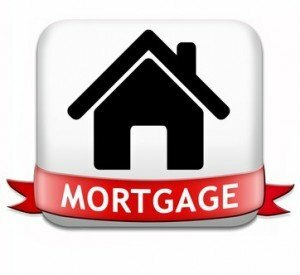 What is a Private Mortgage Loan? The term is essentially akin to 1st mortgage, 2nd, 3rd, and 4th mortgage, Line of Credit, Demand Loan, and the list goes on that Alberta Private Mortgage Lenders can assist with. By definition; a mortgage loan is a loan secured by real property through the use of a mortgage note which evidences the existence of the loan and the encumbrance of that realty through the granting of a mortgage which secures the loan. However, the word mortgage alone, in everyday usage, is most often used to mean mortgage loan. To simplify, if you’re obtaining a loan against real estate, it’s a mortgage loan. They are many ways to structure a mortgage to meet your needs. The people associate Mortgage Loan with the purchase of a home. It is the single largest purchase for most people. Mortgage Loans however can be used for a variety of reasons. Some of the above are interchangeable or related on one sense or another. For example, private mortgage lenders are often required in all the above mentioned when the borrower does not meet bank criteria. A Private mortgage loan can be obtained At the same time. Land Acquisitions are sometimes associated with commercial mortgage loan. Having access to a wide variety of Private Lenders for Home Mortgages and contacts provides the ability to find a solution. What to Consider When Applying For a Private Mortgage in Alberta If you are interested in purchasing a foreclosure property and turning it around at a profit. If you have the right broker that knows how to get a private mortgage in Alberta then the process is relatively quick and easy. You may not need a down payment in cash, and there is no credit check. How to do a private mortgage in Alberta There are 4 factors that influence the marketability of a loan application: the term, the rate of interest, the ratio of loan to value (LTV) and the location. When putting the mortgage application together, a lender wants a short term and a generous yield and interest rate. Private Lenders generally do not want to exceed 12 months, but at times will go up to 3years or more. In many cases, private lenders will set up loans over 12 months with an option to renew with a good payment history. Some lenders will have renewal fees attached. The right rate of interest combined with the right LTV, lenders will snap up the mortgage like hot cakes; making it much easier for Mortgage Investment Corporations (MICS) to satisfy their investor partners. Because these are first position loans, that is a particularly attractive yield given the fact that BOC interest rates are so low right now. Because the ratio of the loan (LTV) is so important, a professional assessment of the property is crucial. There are 2 ways to address this. One way is to go to your trusted realtor and request a Comparative Market Analysis (CMA). Another more reliable assessment is to obtain an appraisal. Be careful when choosing a company; because some private lenders have a designated list of approved & trusted appraisers. Better yet, contact Amansad and discuss the details of your loan plans. Private Lenders focus much on location. For example, a 75% LTV in a major city is more attractive than a 75% LTV property in a rural location. The equity position may be the same, but the likelihood of selling a property in a urban center is much higher simply due to the population density. Alberta Private Lenders must always consider worse case scenario because the loans provided are higher risk. Borrowers have the right intention, but things happen; so if a lender must foreclose they would prefer a property that can be sold quickly and easily. How to get a private mortgage in Alberta If you are interested in this sort of investment opportunity, talk to a professional at Amansad Financial about the potential for a private mortgage of your own! At Amansad Financial, we connect individuals looking to buy and flip a house with lenders who are looking to issue the “paper” on it. The word “paper” refers to mortgages that are created privately and registers at Land Titles Office (LTO). These are popular investment vehicles, because their basis is real estate rather than a stock or bond, which means that the rate of return is much more reliable. If you are wondering how to get a mortgage with bad credit in Alberta, there is good news. First off, many people purchase homes each year with the help of mortgage loans from banks and other traditional sources. Generally, those traditional lenders like to have a down payment ranging between 5 and 20 percent, and they like borrowers to have at least a good credit score, as well as a verifiable income stream that has been in place for some time. There are some people, though, who have more than the minimum down payment saved up in the bank, but they have gone through some financial difficulties in the past that have caused some damage to their credit score. This means that they cannot secure financing through a bank, even though they have a 20 or even 30 percent down payment saved up. Amansad Financial offers several ways that we can help people secure a bad credit mortgage in Alberta. A particularly common way that we help people gain access to financing in spite of bad credit in Alberta is through private lenders. These are individuals and companies who have money to invest but don’t want to throw it down on the roulette wheel of stocks or commodities investments. On the other hand, they don’t want the pennies in income that normally come from savings accounts, certificates of deposit and other investment vehicles that banks and similar institutions offer. Private lenders can earn a higher rate of interest than a savings account by lending money to people who can afford a mortgage but have poor credit. They view this as a more secure form of investment, because people are only going to default on mortgages as a last resort. Even when times get tough, they will cut out all of their other expenditures first, so dining out, that expensive cable television package, and even other payments like car notes and credit card bills will be overlooked first. Because private mortgages will carry a higher rate of interest than available terms with a mortgage from a bank or other traditional lender, the private lender makes a nice sum on his investment, while you get access to a home that you wouldn’t have otherwise. Poor Credit Mortgage Lenders Alberta Here’s how the process works. If you need a bad credit mortgage in Alberta, get in touch with Amansad Financial right away if you have at least 20 or 30 percent down saved up. We do have private mortgage strategies in place for 10% down. We have a list of investors who are looking to put their money into a private loan, either their RRSP funds or other funds that have been saved away. When a borrower comes to us looking for funds with bad credit, we look through our list of lenders who are looking to invest. We use the amount that you are looking for, in addition to the profile of your property, to match you with what lenders are looking for. Why is the property important? Since you’re putting 20 or 30 percent down, and since the term of a private loan is generally shorter than what you can work out with a traditional source, a private lender looks at the property itself. If you can keep your LTV ratio (loan to value) at 70 percent or less, and if the lender agrees with your assessment of the property’s value, you are likely to get the loan. Let’s go back to that shorter term, though. A private lender generally wants all of his money back between two to three years with some exceptions. This doesn’t mean that you have to pay for the whole balance yourself, though. It does mean that you have two or three years to get your finances in order and secure a loan from another source before the private loan expires. This could mean getting your credit score up high enough so that a traditional lender will work with you. It could mean saving up another down payment and getting another private mortgage In Canada, because of the way mortgages work, you are going to have to go through several different loans to make it all the way to owning your house free and clear anyway. Give Amansad Financial a call if you are looking for a private mortgage or bad credit mortgage in Alberta. We will go over your situation and suggest some potential lenders for you to deal with. We have helped many borrowers enjoy the dream of home ownership, and we look forward to working with you as well!